The Mississippi Federation of Women's Clubs selected the mockingbird as their club bird and lobbied the state to adopt the mockingbird as the official state bird of Mississippi. 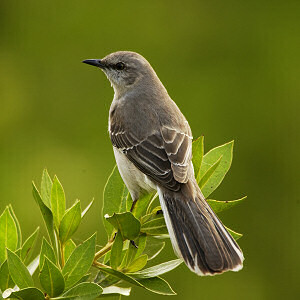 The bill to designate the mockingbird the official state bird of Mississippi was approved in the Mississippi House of Representatives and the Senate unanimously. The legislation was signed by the Governor on February 23, 1944. Mimus polyglottos (Northern Mockingbird): University of Michigan Museum of Zoology: Animal Diversity Web. Mississippi Bird Watching: A Year-Round Guide: by Bill Thompson III with staff of Bird Watcher's Digest .